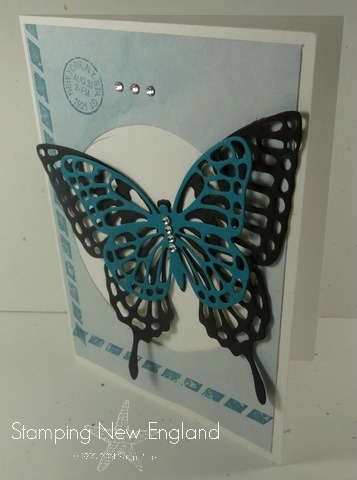 Home Occasions catalog Butterfly Thinlits are Back! Yay!! 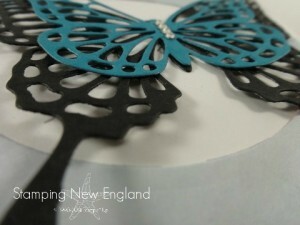 After a (very) long migration, the Butterflies Thinlits Dies have landed in the Stampin’ Up! warehouse and are now available for purchase! 2. Buy any of the Butterflies Thinlits Bundles—already discounted 15 percent–and choose one of three FREE Sale-A-Bration items (only available while supplies last)! This beautiful card was designed for April classes by a member of the Stamping New England design team! I love to share the hostess benefits with my loyal customers! If your order is under $150, use the Hostess code: EHYTG2HB and receive a FREE ribbon sampler from me!